Andrey Vitalievich Korotayev (Russian: Андре́й Вита́льевич Корота́ев; born 17 February 1961) is a Russian anthropologist, economic historian, comparative political scientist, demographer and sociologist, with major contributions to world-systems theory, cross-cultural studies, Near Eastern history, Big History, and mathematical modelling of social and economic macrodynamics. He is currently the Head of the Laboratory for Monitoring of the Risks of Sociopolitical Destabilization at the National Research University Higher School of Economics, and a Senior Research Professor at the Center for Big History and System Forecasting of the Institute of Oriental Studies   as well as in the Institute for African Studies of the Russian Academy of Sciences. In addition, he is a Senior Research Professor of the International Laboratory on Political Demography and Social Macrodynamics (PDSM) of the Russian Presidential Academy of National Economy and Public Administration,  as well as a Full Professor of the Faculty of Global Studies of the Moscow State University. He is co-editor of the journals Social Evolution & History and Journal of Globalization Studies, as well as History & Mathematics yearbook  (together with Leonid Grinin and Arno Tausch). Born in Moscow, Andrey Korotayev attended Moscow State University, where he received an MA in 1984. He earned a PhD in 1993 from Manchester University, and in 1998 a Doctor of Sciences degree from the Russian Academy of Sciences. Since 2000, he has been Professor and Director of the Anthropology of the East Center at the Russian State University for the Humanities, Moscow, and Senior Research Professor in the Oriental Institute and Institute for African Studies at the Russian Academy of Sciences. In 2001–2003, he also directed the "Anthropology of the East" Program at the National Research University Higher School of Economics in Moscow and is now the Head of the Laboratory of Monitoring of the Sociopolitical Destabilization Risks at this University. In 2003–2004, he was a visiting member at the Institute for Advanced Study in Princeton, NJ. Andrey Korotayev has made important contributions to the following fields. In this field he has proposed one of the most convincing mathematical explanations for von Foerster's Doomsday Equation. In collaboration with his colleagues, Artemy Malkov and Daria Khaltourina, he has shown that till the 1970s the hyperbolic growth of the world population was accompanied by quadratic-hyperbolic growth of the world GDP, and developed a number of mathematical models describing both of these phenomena simultaneously; he has also described mathematically the World System withdrawal from the blow-up regime observed in the recent decades. The hyperbolic growth of the world population and quadratic-hyperbolic growth of the world GDP observed till the 1970s have been correlated by him and his colleagues to a non-linear second order positive feedback between the demographic growth and technological development that can be spelled out as follows: technological growth – increase in the carrying capacity of land for people – demographic growth – more people – more potential inventors – acceleration of technological growth – accelerating growth of the carrying capacity – the faster population growth – accelerating growth of the number of potential inventors – faster technological growth – hence, the faster growth of the Earth's carrying capacity for people, and so on. In collaboration with Alexander V. Markov he has demonstrated that a similar mathematical model can be developed to describe the macrotrends of biological evolution. They have shown that changes in biodiversity through the Phanerozoic correlate much better with hyperbolic model (widely used in demography and macrosociology) than with exponential and logistic models (traditionally used in population biology and extensively applied to fossil biodiversity as well). The latter models imply that changes in diversity are guided by a first-order positive feedback (more ancestors, more descendants) and/or a negative feedback arising from resource limitation. Hyperbolic model implies a second-order positive feedback. The hyperbolic pattern of the world population growth has been demonstrated by Korotayev to arise from a second-order positive feedback between the population size and the rate of technological growth. According to Korotayev and Markov, the hyperbolic character of biodiversity growth can be similarly accounted for by a feedback between the diversity and community structure complexity. They suggest that the similarity between the curves of biodiversity and human population probably comes from the fact that both are derived from the interference of the hyperbolic trend with cyclical and stochastic dynamics. Finally, Korotayev has demonstrated that the hyperbolic models of this type may be used to describe in a rather accurate way the overall growth of the planetary complexity of the Earth since 4 billion BC up to the present. Of special importance is his study of the hypothesis that population pressure causes increased warfare. This hypothesis has been recently criticised on the empirical grounds. Both studies focusing on specific historical societies and analyses of cross-cultural data have failed to find positive correlation between population density and incidence of warfare. Korotayev, in collaboration with Peter Turchin, has shown that such negative results do not falsify the population-warfare hypothesis. Population and warfare are dynamical variables, and if their interaction causes sustained oscillations, then we do not in general expect to find strong correlation between the two variables measured at the same time (that is, unlagged). Korotayev and Turchin have explored mathematically what the dynamical patterns of interaction between population and warfare (focusing on internal warfare) might be in both stateless and state societies. Next, they have tested the model predictions in several empirical case studies: early modern England, Han and Tang China, and the Roman Empire. Their empirical results have supported the population-warfare theory: Korotayev and Turchin have found that there is a tendency for population numbers and internal warfare intensity to oscillate with the same period but shifted in phase (with warfare peaks following population peaks). Furthermore, they have demonstrated that in the agrarian societies the rates of change of the two variables behave precisely as predicted by the theory: population rate of change is negatively affected by warfare intensity, while warfare rate of change is positively affected by population density. As Kohler and Reed put it, Korotayev and Turchin have demonstrated that "human population movements and sociopolitical strife play the roles of sometimes endogenous, sometimes exogenous, factors that on small spatial scales may seem inexplicable but which on longer temporal and wider spatial scales may have understandable rhythms". In collaboration with Daria Khaltourina he has made a significant contribution to the study of the factors of the current Russian demographic crisis. They have demonstrated that post-Soviet Russia experiences one of the world's highest prevalence of alcohol-related problems, which contributes to high mortality rates in this region. Reduction in alcohol-related problems in Russia can have strong effects on mortality decline. They have analysed the plausibility of application of general principles of alcohol policy translated in the Russian Federation. Korotayev and Khaltourina have shown that alcohol policy approaches could be implemented in the same ways as they have been in other countries, and contributed to the development of alcohol control measures in this country. In addition, according to Korotayev, there should be special attention to decreasing distilled spirits consumption, illegal alcohol production, nonbeverage alcohol consumption, and enforcement of current governmental regulations. In late 2014 they correctly predicted the forthcoming return of Russia to negative natural population growth. They draw attention to the fact that the ability to read was essential for Protestants (unlike Catholics) to perform their religious duty − to read the Bible. The reading of Holy Scripture was not necessary for Catholic laymen. The edict of the Toulouse Synod (1229) prohibited Catholic laity from possessing copies of the Bible. Soon after that, a decision by the Tarragon Synod spread this prohibition to ecclesiastic people as well. In 1408, the Oxford Synod absolutely prohibited translations of the Holy Scripture. From the very beginning, Protestant groups did not accept this prohibition. Thus, Luther translated in 1522–1534 first the New Testament, and then the Old Testament, into German, so that any German-speaking person could read the Holy Scripture in his or her native language. Moreover, the Protestants viewed reading the Holy Scripture as a religious duty of any Christian. As a result, the level of literacy and education was, in general, higher for Protestants than it was for Catholics and for followers of other confessions that did not provide religious stimuli for learning literacy. Literate populations have many more opportunities to obtain and use the achievements of modernisation than illiterate ones and display greater innovative-activity levels, which correspond with opportunities for modernisation, development, and economic growth. Empirical tests performed by Korotayev and his colleagues have confirmed the presence of a rather strong and highly significant correlation between the early introduction of mass literacy and subsequent high rates of capitalist economic development. Andrey Korotayev claims that the present-day world-system ("the World System"), which in the 2nd millennium CE encompassed the whole globe, originated in the 9th millennium BCE in direct connection with the Neolithic revolution. According to Korotayev, the centre of this system was originally in West Asia. Korotayev suggests that the hyperbolic trend observed for the world population growth after 10000 BCE does appear to be primarily a product of the growth of the World System. The presence of the hyperbolic trend itself indicates that the major part of the entity in question had some systemic unity, and Korotayev insists that the evidence for this unity is readily available. Indeed, he shows that we have evidence for the systematic spread of major innovations (domesticated cereals, cattle, sheep, goats, horses, plow, wheel, copper, bronze, and later iron technology, and so on) throughout the whole North African – Eurasian Oikumene for a few millennia BCE. As a result, the evolution of societies of this part of the world already at this time cannot be regarded as truly independent. By the end of the 1st millennium BCE we observe a belt of cultures, stretching from the Atlantic to the Pacific, with an astonishingly similar level of cultural complexity characterised by agricultural production of wheat and other specific cereals, the breeding of cattle, sheep, and goats; use of the plow, iron metallurgy, and wheeled transport; development of professional armies and cavalries deploying rather similar weapons; elaborate bureaucracies, and Axial Age ideologies, and so on – this list could be extended for pages. A few millennia before, we would find another belt of societies strikingly similar in level and character of cultural complexity, stretching from the Balkans up to the Indus Valley outskirts. Korotayev interprets this as a tangible result of the World System's functioning. Together with Leonid Grinin he has also made a significant contribution to the current Great Divergence debate. As is noted by Jack Goldstone, the "new view, carefully presented and rigorously modeled by Grinin and Korotayev, provides a richer and more nuanced version of the "Great Divergence," bridging many of the differences between the traditional and California viewpoints. Yet they go further. Amazingly, by building a model using human capital (education), global population growth, and regional productivity, they show how both the Great Divergence and the recent "Great Convergence" (the economic catching up of developing countries) are phases of the same process of global modernisation." In addition, Korotayev's research has revealed a close coupling between phases of global demographic transition and phases of the Great Divergence and Great Convergence. Note also his research on Kondratiev waves in the world GDP dynamics that, employing spectral analysis, has confirmed their presence at an acceptable level of statistical significance. From a complexity perspective Korotayev's establishes a key point, that of the bifurcations of social and kinship organisation that coalesced historically around the differential practices of the major world religions. It draws on the World Cultural database and the world religion as well as other variables. The Murdockian comparative approach, up to Korotayev, had developed to the point where the nonindependence of cultures was well-recognized, and ways of taking the larger configurations of cultural systems into account had been reckoned to lie, in the latest iteration, along lines of high-order proto-linguistic communities. 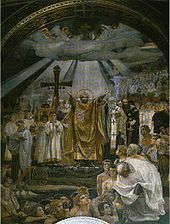 Korotayev demonstrates the effects of breaking what might be seen as a ritual taboo of Murdockian comparison: Thou Shalt Not Code World Religion. By doing so, Korotayev releases the Murdockian spell that lingers over the comparative approach in anthropology, and goes on to demonstrate the powerful effects of world religious communities — dating from what Jaspers calls the "Axial Age" (800–200 BCE) – on the preservation and differentiation of distinctive social and political structures in Eurasia. His introduction and conclusion suggest that an objectivist natural history approach to human history, in which subjective factors are of local importance but fade out in terms of lasting effects over generations, is a valid approach to the "pre-Axial" condition of human societies, while a subjectivist history of consciousness is a necessary complement to the "post-Axial" condition. Korotayev succeeds in placing these two complementary approaches in context and showing their linkages in terms of how subjective and religious factors play out in human history alongside objective factors such as demography and ecology, each informing the other. He shows how it is impossible to arrive at valid inferential results from comparative approaches without an integration of the two, a situation he aptly calls "Galton's opportunity" for those are of century-old critiques of the comparative method. The reader will be surprised at the depth of empirical comparative findings in this short book. Following Murray Leaf's Man, Mind and Science (1974) this work is a major contribution to repair of the material/ideational rift in anthropology. 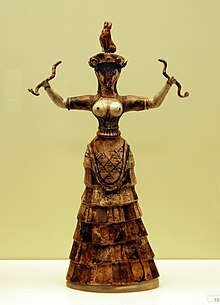 Snake Goddess – Heraklion Archaeological Museum. One of his particular contributions in this field is connected with the classical anthropological issue of determinants of matrilocal versus patrilocal postmarital residence. Early theories explaining the determinants of postmarital residence (e.g., Lewis Henry Morgan, Edward Tylor, or George Peter Murdock) connected it with the sexual division of labour. However, to the moment when Korotayev's research in this field began, cross-cultural tests of this hypothesis using worldwide samples had failed to find any significant relationship between these two variables. Korotayev's tests have shown that the female contribution to subsistence does correlate significantly with matrilocal residence in general; however, this correlation is masked by a general polygyny factor. Although an increase in the female contribution to subsistence tends to lead to matrilocal residence, it also tends simultaneously to lead to general non-sororal polygyny which effectively destroys matrilocality. If this polygyny factor is controlled (e. g., through a multiple regression model), division of labour turns out to be a significant predictor of postmarital residence. Thus, Murdock's hypotheses regarding the relationships between the sexual division of labour and postmarital residence were basically correct, though, as has been shown by Korotayev, the actual relationships between those two groups of variables are more complicated than he expected. Korotayev was also one of the pioneers (together with his colleagues) of the study of correlation between spatial distributions of folklore-mythological motifs and genetic markers, as well as linguistic and sociostructural characteristics, and produced in this area significant results with respect to the deep history reconstruction. As is noticed by Julien d'Huy et al., "Korotayev and Khaltourina showed statistical correlation between spatial distributions of mythological motifs and genetic markers, considerably above the 4,000 km... Such correlations allow us to reconstruct in detail the mythology... brought to the New World from South Siberia by three Paleolithic migration waves". Korotayev studies variables that are usually regarded as the main causes of the decline of unilineal descent organisation (statehood, class stratification and commercialisation), along with a variable that had never been regarded as such a cause – deep Christianization. He postulates that the traditionally accepted causes of the decline of unilineal descent organisation (statehood, class stratification, commercialisation) are less significant than deep Christianization. He also theorises that the presence of unilineal descent groups correlates negatively with communal democracy and is especially strong for complex traditional societies. Korotayev concludes that, because the communal democracy correlates positively with the supracommunal one, the Christianization of Europe might have contributed to the development of modern democracy by helping to destroy unilineal descent organisation in this region. Korotayev has made a special contribution in this field by detecting principal trends in the evolution of Yemeni cultures through application of quantitative methods to the analysis of mass epigraphic sources in the Sabaic language. Korotayev has thereby discovered the phenomenon of consolidation of the clan organisation in North-East Yemen in the late 1st millennium BCE as well as the transition from chiefdoms to tribes in early medieval Yemen. He was also the first to provide convincing evidence for the existence of matrilineal descent organisation in Pre-Islamic Arabia and to suggest an adequate translation of the largest Qatabanic inscription, R 3566. Simplified climatic map of Africa. The numbers shown correspond to the dates of all Iron Age artefacts associated with the Bantu expansion. The decades of fighting which led to the destruction of the most of the Arabian kingdoms and chiefdoms (reflected in Ayyam al-'Arab tradition) led to the elaboration of some definite "antiroyal" freedom-loving tribal ethos. At the beginning of the 7th century a tribe which would recognise themselves as subjects of some terrestrial supratribal political authority, a "king", risked to lose its honour. However, this seems not to be applicable to the authority of another type, the "celestial" one. At the meantime the early 7th century evidences the merging of the Arabian tradition of prophecy and the Arabian Monotheist "Rahmanist" tradition which produced "the Arabian prophetic movement". Economic Cycles, Crises, and the Global Periphery (Springer, 2016). A Compact Macromodel of World System Evolution in the Journal of World Systems Research 11/1 (2005): 79–93. Korotayev, Andrey; Zinkina, Julia; Bogevolnov, Justislav (2011). "Kondratieff waves in global invention activity (1900–2008)". Technological Forecasting and Social Change. 78 (7): 1280. doi:10.1016/j.techfore.2011.02.011. Malkov, Artemy; Zinkina, Julia; Korotayev, Andrey (2012). "The origins of dragon-kings and their occurrence in society". Physica A: Statistical Mechanics and its Applications. 391 (21): 5215. doi:10.1016/j.physa.2012.05.045. 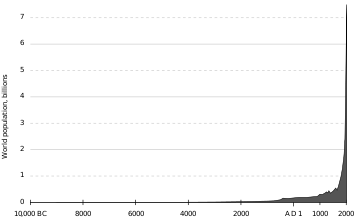 Phases of global demographic transition correlate with phases of the Great Divergence and Great Convergence. Technological Forecasting and Social Change. Volume 95, June 2015, Pages 163–169 (with Jack A. Goldstone & Julia Zinkina). Effects of specific alcohol control policy measures on alcohol-related mortality in Russia from 1998 to 2013. Alcohol and Alcoholism, 2015, 50(5), 588-601 (with Daria Khaltourina). Afrasian Instability Zone and Its Historical Background. Social Evolution & History. 2016. Vol. 15(2). 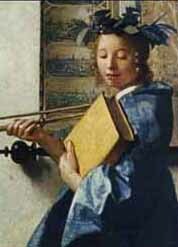 P. 120-140. Korotayev, A., Bilyuga, S., & Shishkina, A. GDP Per Capita and Protest Activity: A Quantitative Reanalysis. Cross-Cultural Research 52/4 (2018): 406–440. History & Mathematics: Economy, Demography, Culture, and Cosmic Civilizations (2017). Political Demography & Global Ageing (2015). Evolution: From Big Bang to Nanorobots. Moscow: Uchitel, 2015. Trends and Cycles, Keldysh Institute of Applied Mathematics, 2014. ^ a b "The Best Economists of the Russian Academy of Sciences". Russian Academy of Sciences. Retrieved 27 June 2006. ^ Global Studies Directory. ISBN 9789004348479. Leiden: Brill, 2018, pp.182-183. ^ "Андрей Витальевич Коротаев". Istina. Retrieved 31 December 2013. ^ "History and mathematics: Historical Dynamics and Development of Complex Societies". URSS. Retrieved 31 December 2013. ^ Note that the analysis of log-linear oscillations in the gold price dynamics for 2003–2010 conducted recently by him together with Askar Akayev allowed them to forecast in November 2010 a possible start of the second wave of the global crisis in June – August 2011. See Askar Akayev, Alexey Fomin, Sergey Tsirel, and Andrey Korotayev. Log-Periodic Oscillation Analysis Forecasts the Burst of the "Gold Bubble" in April – June 2011. Structure and Dynamics 4/3 (2010): 1–11. ^ Korotayev A.; Malkov A.; Khaltourina D. (2006). "Introduction to Social Macrodynamics: Secular Cycles and Millennial Trends". Moscow: URSS. ^ See, e.g., Korotayev A., Malkov A., Khaltourina D. Introduction to Social Macrodynamics: Compact Macromodels of the World System Growth. Moscow: URSS Publishers, 2006; Korotayev A. V. A Compact Macromodel of World System Evolution // Journal of World-Systems Research 11/1 (2005): 79–93 Archived 6 July 2009 at the Wayback Machine; for a detailed mathematical analysis of this issue see A Compact Mathematical Model of the World System Economic and Demographic Growth, 1 CE – 1973 CE; for an analysis of this pattern suggested by Korotayev see, e.g., Carter, B., (2008), "Five or six step scenario for evolution?" Int. J. Astrobiology 7 (2008) 177–182. As Francis Heylighen puts it, "an elegant example is the explanation by Korotayev of the hyperbolic growth of the world population until 1960. In the model, population growth is initially modeled by a traditional logistic growth equation, where population N starts by growing exponentially but then slows down until it reaches the maximum value expressed by the carrying capacity of the environment. This carrying capacity is proportional to the overall productivity of technology, i.e. its ability to extract from the natural environment the resources necessary for survival. In a second equation, the growth of technological productivity is considered to be proportional to the technology that is already there (simple exponential growth), but also to the population number, under the simple assumption that more individuals will discover more innovations. The authors shows that the two equations together produce a hyperbolic growth curve that mimics the observed historical growth of world population with a surprising accuracy (explaining over 99% of the variation for the period 500 BC–1962)" ( Heylighen, Francis (2007). "Accelerating Socio-Technological Evolution: from ephemeralization and stigmergy to the global brain" (PDF). In Modelski, G.; Devezas, T.; Thompson, W. (eds.). Globalization as an Evolutionary Process: Modeling Global Change. London: Routledge. ISBN 978-0-415-77361-4. ). ^ Alexander V. Markov, and Andrey V. Korotayev (2007) "Phanerozoic marine biodiversity follows a hyperbolic trend" [[Palaeoworld[dead link]] 16(4): pp. 311–318]; Markov, AV; Korotaev, AV (2008). "Hyperbolic growth of marine and continental biodiversity through the phanerozoic and community evolution". Zhurnal obshchei biologii. 69 (3): 175–94. PMID 18677962. ^ The 21st Century Singularity and its Big History Implications: A re-analysis. Journal of Big History 2/3 (2018): 71 - 118. 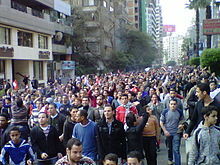 ^ Egyptian Revolution: A Demographic Structural Analysis. Entelequia. Revista Interdisciplinar 13 (2011): 139–169. 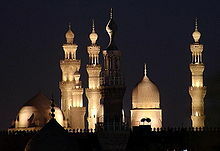 ^ http://polit.ru/article/2013/06/29/revolutions/; see also Egyptian coup of 2013: an ‘econometric’ analysis. The Journal of North African Studies. 2016. Vol. 21 (3). P. 341–356. ^ Population Dynamics and Internal Warfare: A Reconsideration Archived 3 June 2016 at the Wayback Machine. Social Evolution & History 5/2 (2006): 112–147. ^ Population Dynamics and Internal Warfare: A Reconsideration Archived 3 June 2016 at the Wayback Machine. Social Evolution & History 5/2 (2006): 112–147; see also Korotayev A., Malkov A., Khaltourina D. Introduction to Social Macrodynamics. Secular Cycles and Millennial Trends. Moscow: URSS, 2006; Korotayev A.V., Khaltourina D.A. Introduction to Social Macrodynamics: Secular Cycles and Millennial Trends in Africa. Moscow: URSS, 2006. ISBN 5-484-00560-4; note that these findings are relevant for the preindustrial social systems only. ^ Kohler, Timothy A., and Charles Reed. Explaining the Structure and Timing of Formation of Pueblo I Villages in the Northern U.S. Southwest. In Sustainable Lifeways: Cultural Persistence in an Ever-changing Environment, edited by Naomi F. Miller, Katherine M. Moore, and Kathleen Ryan, pp. 150–179. University of Pennsylvania, Philadelphia, 2012. ^ See, e.g., Egyptian Revolution: A Demographic Structural Analysis. Entelequia. Revista Interdisciplinar 13 (2011): 139–169. ^ Korotayev, A., Malkov, S., & Grinin, L. (2014). A trap at the escape from the trap? Some demographic structural factors of political instability in modernizing social systems. History & Mathematics, 4, 201-267. ^ See, e.g., Korotayev A., Khaltourina D. Russian Demographic Crisis in Cross-National Perspective. Russia and Globalization: Identity, Security, and Society in an Era of Change. Ed. by D. W. Blum. Baltimore, MD: Johns Hopkins University Press, 2008. P. 37-78; Khaltourina, D. A., & Korotayev, A. V. 'Potential for alcohol policy to decrease the mortality crisis in Russia', Evaluation & the Health Professions, vol. 31, no. 3, Sep 2008. pp. 272–281; Khaltourina, Daria, and Andrey Korotayev. "Effects of Specific Alcohol Control Policy Measures on Alcohol-Related Mortality in Russia from 1998 to 2013." Alcohol and Alcoholism (2015): agv042 . ^ Critical 10 Years. Demographic Policies of the Russian Federation: Successes and Challenges. – Moscow: Russian Presidential Academy of National Economy and Public Administration, 2015. P. 101-123..
^ Korotayev A., Malkov A., Khaltourina D. (2006), Introduction to Social Macrodynamics, Moscow: URSS, ISBN 5-484-00414-4  (Chapter 6: Reconsidering Weber: Literacy and "the Spirit of Capitalism" Archived 17 July 2011 at the Wayback Machine). P.87-91. ^ Korotayev A., Malkov A., Khaltourina D. (2006), Introduction to Social Macrodynamics, Moscow: URSS, ISBN 5-484-00414-4  (Chapter 6: Reconsidering Weber: Literacy and "the Spirit of Capitalism" Archived 17 July 2011 at the Wayback Machine). P.88-91. ^ a b Korotayev A.; Malkov A.; Khaltourina D. (2006). "Introduction to Social Macrodynamics: Compact Macromodels of the World System Growth". Moscow: KomKniga. ISBN 5-484-00414-4. ^ "Review of Social Macroevolution: Genesis and Transformation of the World System by Leonid Grinin and Andrey Korotayev". Social Studies. Retrieved 31 December 2013. ^ Korotayev A. V. A Compact Macromodel of World System Evolution.Journal of World-Systems Research 11/1 (2005): 79–93 Archived 6 July 2009 at the Wayback Machine; Korotayev A., Malkov A., Khaltourina D. (2006). Introduction to Social Macrodynamics: Compact Macromodels of the World System Growth. Moscow: KomKniga. ISBN 5-484-00414-4; Korotayev A. Compact Mathematical Models of World System Development, and How they can Help us to Clarify our Understanding of Globalization Processes // Globalization as Evolutionary Process: Modeling Global Change / Edited by George Modelski, Tessaleno Devezas, and William R. Thompson. London: Routledge, 2007. P. 133-160. ^ Great Divergence and Great Convergence. A Global Perspective (Springer, 2015, with Leonid Grinin). ^ Goldstone, Jack A. "Great Divergence and Great Convergence in a Global Perspective." Social Evolution & History 15.2 (2016): 197–198. ^ Korotayev A. et al. Phases of global demographic transition correlate with phases of the Great Divergence and Great Convergence. Technological Forecasting and Social Change. Volume 95, June 2015, Page 163. ^ Andrey Korotayev. "World Religions and Social Evolution of the Old World Oikumene Civilizations: a Cross-Cultural Perspective". Mellen Press. Retrieved 31 December 2013. ^ See, e.g., Korotayev A. Form of marriage, sexual division of labor, and postmarital residence in cross-cultural perspective: A reconsideration. Journal of anthropological research ISSN 0091-7710. 2003, Vol. 59, No. 1, pp. 69–89, Korotayev A. Division of Labor by Gender and Postmarital Residence in Cross-Cultural Perspective: A Reconsideration. Cross-Cultural Research. 2003, Vol. 37, No. 4, pp.335–372 doi:10.1177/1069397103253685. ^ See, e.g., "Midwest-Amazonian" Folklore-Mythological Parallels?. Acta Americana 14/1 (2006): 5–24; Myths and Genes. A Deep Historical Reconstruction. Moscow: Librokom/URSS, 2011; Korotayev A. et al. Which genes and myths did the different waves of the peopling of Americas bring to the New World?. History and Mathematics 6 (2017): 9-77. .
^ Korotayev A.V. ; Kazankov A.A. (2000). "Regions Based on Social Structure: A Reconsideration". 41 (5). Current Anthropology: 668–69. ^ Myths and Genes. A Deep Historical Reconstruction. Moscow: Librokom/URSS, 2011. ^ Andrey V. Korotayev (2003). "Unilineal Descent Groups and Deep Christianization: A Cross-Cultural Comparison". Cross-Cultural Research. Sage. 37 (1): 132–156. ^ Korotayev, Andrey (2000). "Parallel-Cousin (FBD) Marriage, Islamization, and Arabization". Ethnology. 39 (4): 395. doi:10.2307/3774053. JSTOR 3774053. ^ Korotayev, A., Issaev, L., Rudenko, M., Shishkina, A., & Ivanov, E. (2016). Afrasian Instability Zone and Its Historical Background. Social Evolution & History, 15(2), 120-140. ^ E.g., Sabaean Cultural-Political Area: Some General Trends of Evolution. Proceedings of the Seminar for Arabian Studies. 23 (1993): 49–60. ^ Korotayev A. V. "Were There Any Truly Matrilineal Lineages in the Arabian Peninsula?" Proceedings of the Seminar for Arabian Studies 25 (1995); pp. 83–98. ^ "A Trap at the Escape From The Trap? Demographic-Structural Factors of Political Instability in Modern Africa and West Asia". Cliodynamics. 2011. pp. 1–28. A Spectral Analysis of World GDP Dynamics: Kondratieff Waves, Kuznets Swings, Juglar and Kitchin Cycles in Global Economic Development, and the 2008–2009 Economic Crisis. Structure and Dynamics. 2010. Vol.4. No. 1. P.3-57 (with Sergey Tsirel).